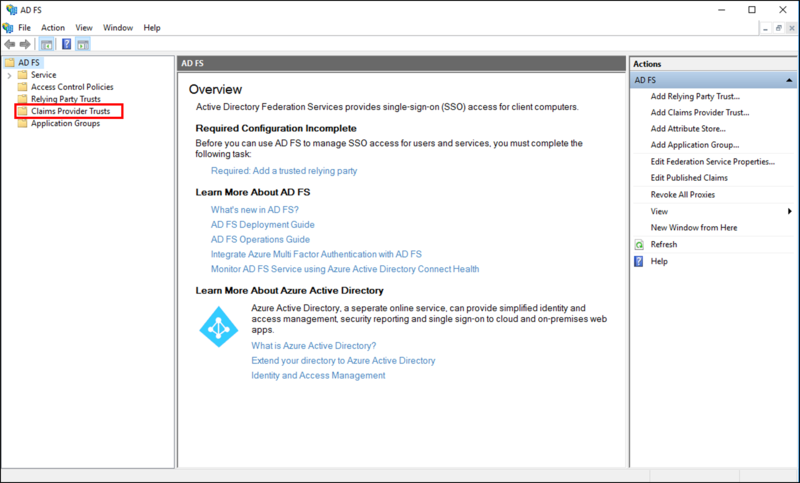 Using the Send Group Membership as a Claim rule template in Active Directory Federation Services (AD FS), you can create a rule that will make it possible for you to select an Active Directory security group to send as a claim. Only a single claim will be emitted from this rule, based on the group that you select. 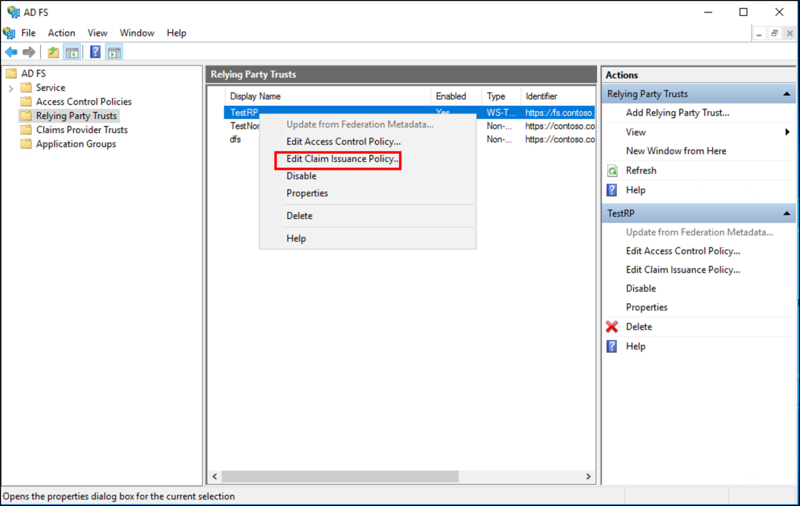 For example, you can use this rule template to create a rule that will send a group claim with a value of Admin if the user is a member of the Domain Admins security group. 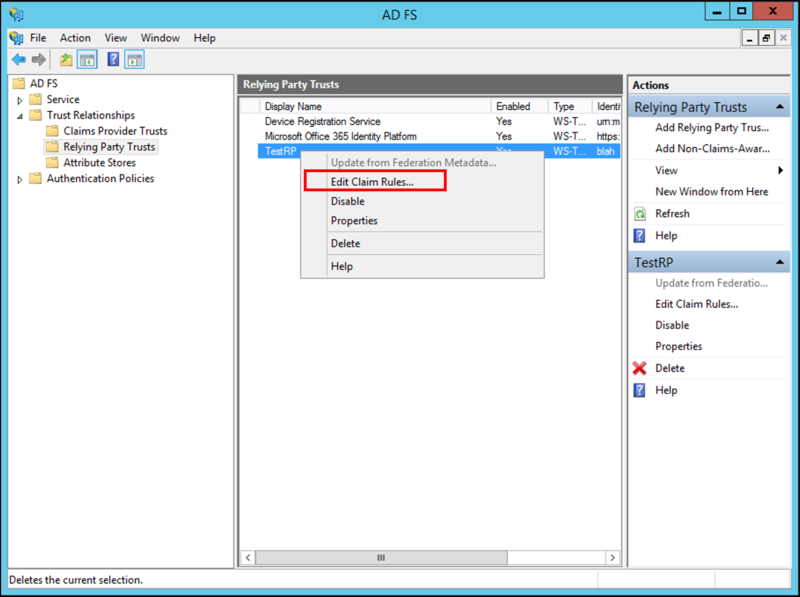 This rule should be used only for users in the local Active Directory domain. 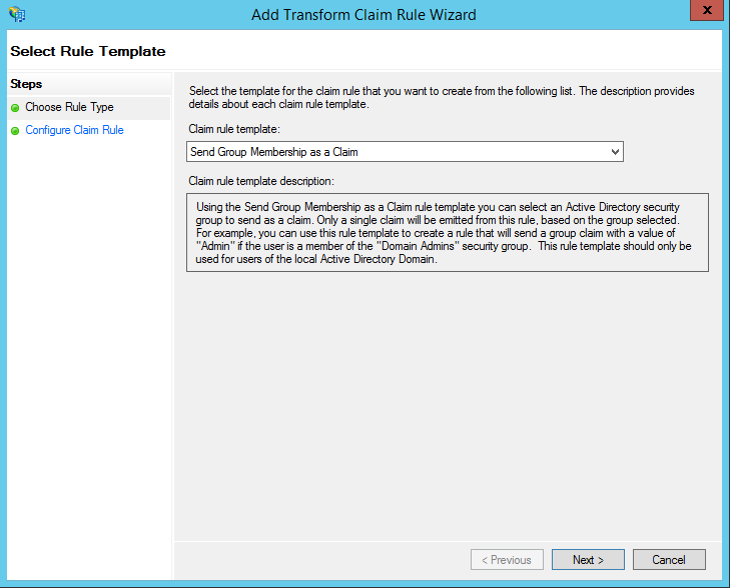 You can use the following procedure to create a claim rule with the AD FS Management snap-in. Membership in Administrators, or equivalent, on the local computer is the minimum required to complete this procedure. Review details about using the appropriate accounts and group memberships at Local and Domain Default Groups. In the console tree, under AD FS, click Relying Party Trusts. 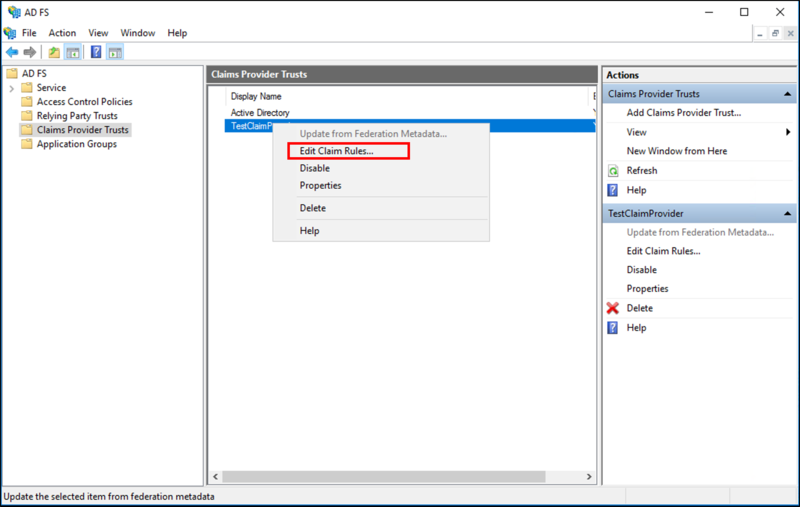 Right-click the selected trust, and then click Edit Claim Issuance Policy. 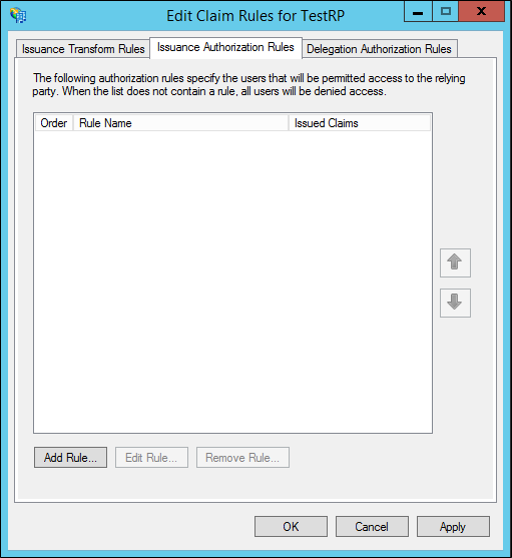 In the Edit Claim Issuance Policy dialog box, under Issuance Transform Rules click Add Rule to start the rule wizard. 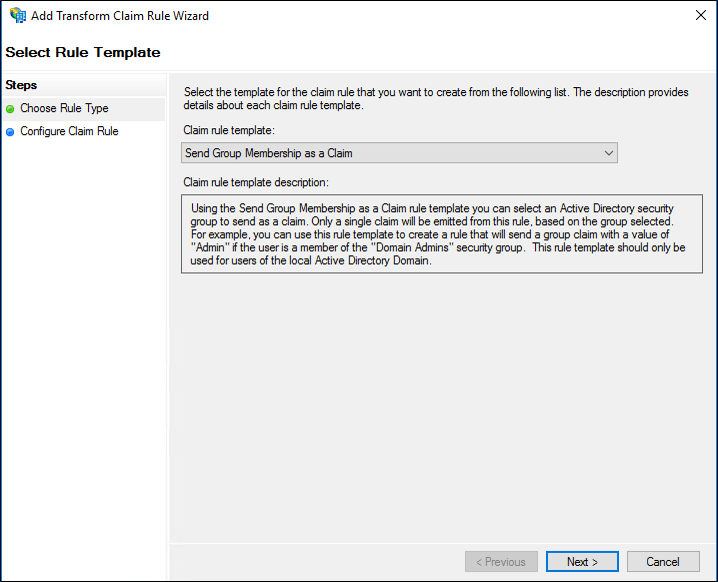 On the Select Rule Template page, under Claim rule template, select Send Group Membership as Claim from the list, and then click Next. 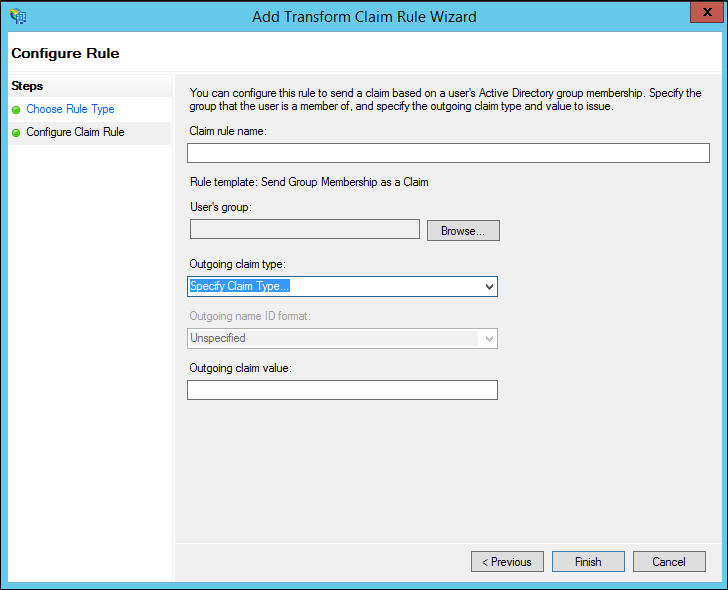 On the Configure Rule page under Claim rule name type the display name for this rule, in User’s group click Browse and select a group, under Outgoing claim type select the desired claim type, and then under Outgoing Claim Type type a value. In the console tree, under AD FS, click Claims Provider Trusts. 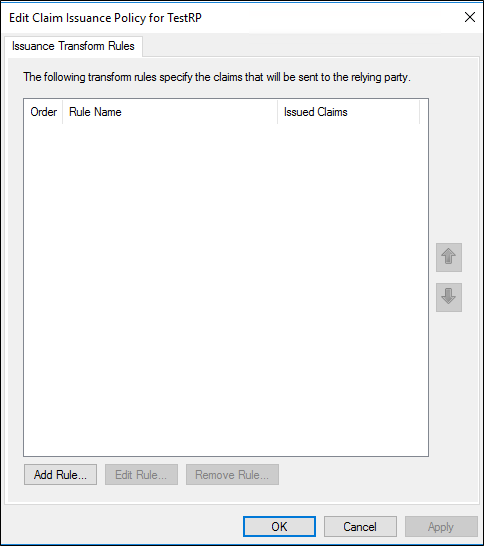 Right-click the selected trust, and then click Edit Claim Rules. 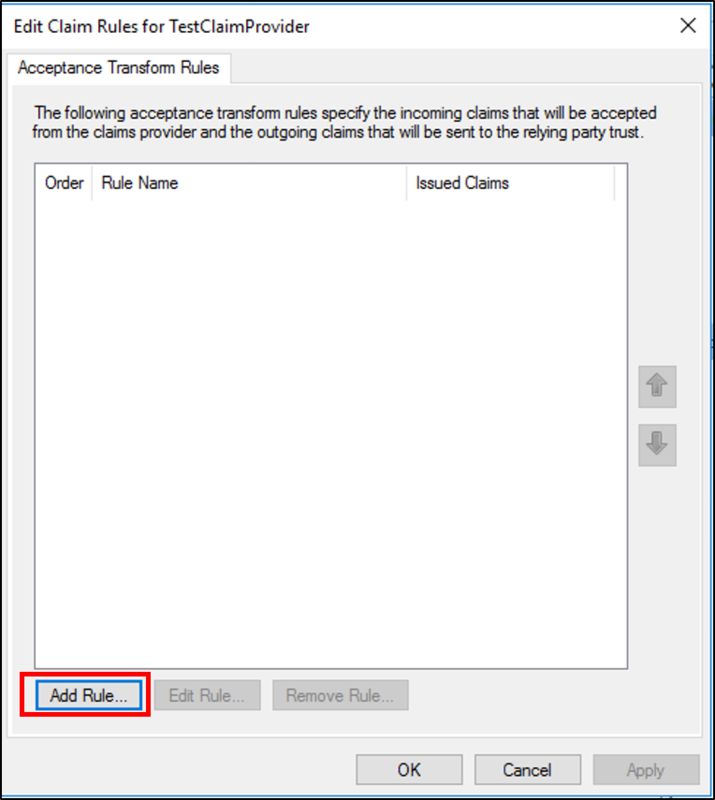 In the Edit Claim Rules dialog box, under Acceptance Transform Rules click Add Rule to start the rule wizard. 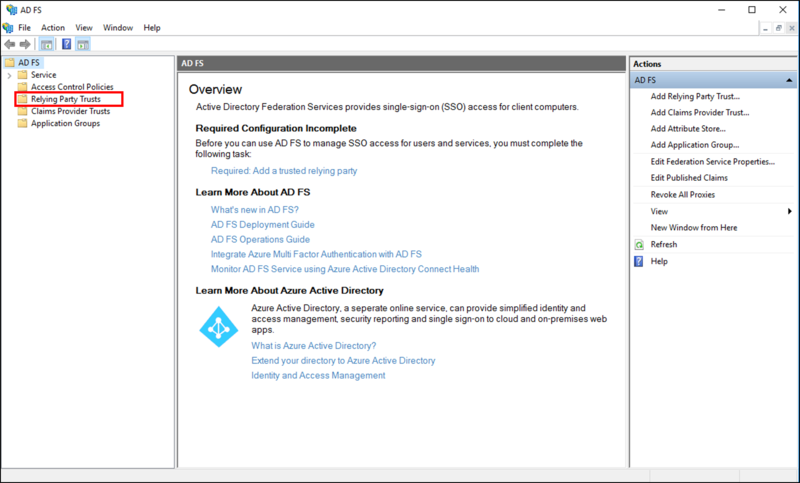 In the console tree, under AD FS\Trust Relationships, click either Claims Provider Trusts or Relying Party Trusts, and then click a specific trust in the list where you want to create this rule. 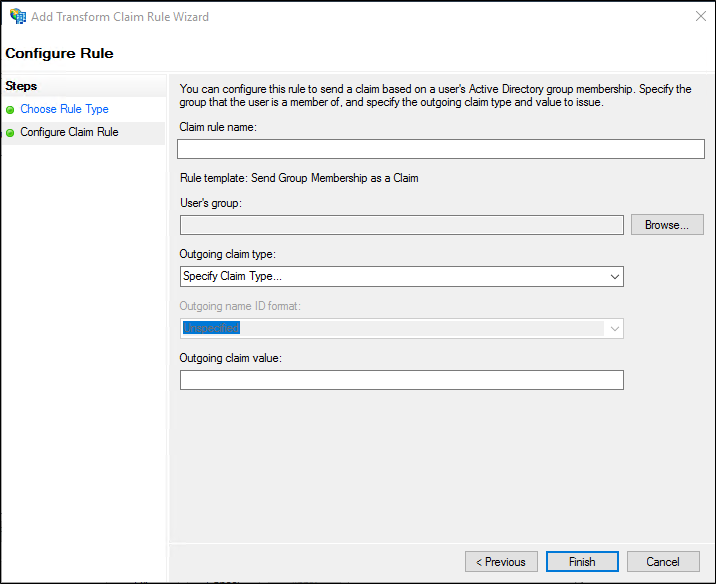 On the Select Rule Template page, under Claim rule template, select Send Group Membership as a Claim from the list, and then click Next.